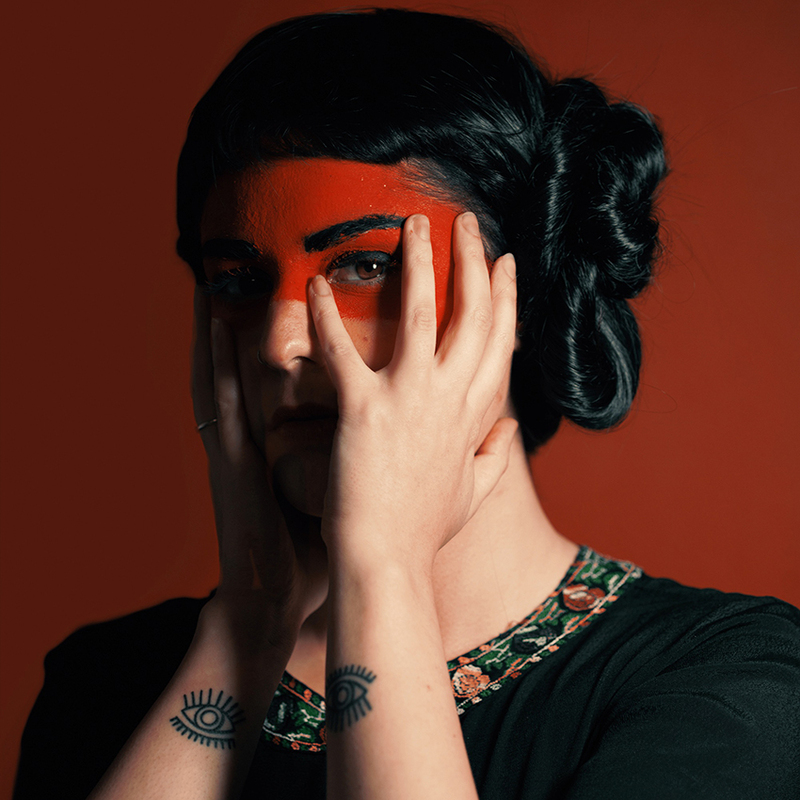 Hailing from Johannesburg, South Africa, Jenny Dison better known as LUMA is an experimental-electronica songstress who for the past two years has been making a mark on the underground scene with her sheer whimsy and eclectic creativity. LUMA has collaborated with notable local artists, friends and members of Sol Gems, Bye Beneco, Thor Rixon, Card on Spokes and Tshepang Ramoba of BLK JKS, to name but a few, though she is now producing from a purely solo perspective. Intertwining sounds from indie-pop to minimal techno, dream-pop to psyche, LUMA never repeats herself. With only a handful of singles released and some new material in the works - it’s evident that LUMA can transform and construct as she sees fit. For the second year in a row, LUMA is set to perform at Cape Town’s picturesque Endless Daze festival on November 2-4, surrounded by exquisite oceanic and lush sceneries and it’s inevitable power to inspire and impress. For anyone late to LUMA’s celestial resonance, how would you personally describe the music you produce? I don’t want to box myself into one genre - I enjoy the freedom of making whatever kind of music comes from jamming on my keyboard. My main influences are psych and electronic music, so these sounds always filter through. It’s been a while since you’ve released official LUMA music - about a year ago, you dropped an array of glowing, atmospheric genre-crossing singles. Any plans to release new music soon? Yes, the plan is to definitely drop more songs by the end of the year. A lot of things have changed for the project, I am working on my own now and I have had to adjust to that. New music is definitely on the way though! LUMA is famously known for producing incredibly creative collaborative pieces - are there any artists out there that you would love to approach for collaboration purposes? Ah yes definitely, I still need to finish a song with Moonchild and that’s going to be awesome. I would love to work with Manthe Ribane, I feel our styles will really work well together. Your set at Endless Daze 2017 was intimate, eclectic and full of sheer wonder as an early-to-rise crowd gathered around on the grass to watch your immersively captivating performance. How did you find the whole experience? First of all, thank you so much that is so lovely to hear! Funnily enough, I felt a bit stressed about that performance actually. It was quite early in the morning, and I am definitely not an early morning person, haha! I also didn’t get a chance to finish my set because I took a while to set up… So I felt a bit pressured through the set. That’s why I am so excited about playing again this year, playing on the main stage in the afternoon is a really incredible opportunity to showcase my set. What are you most looking forward to about performing at Endless Daze 2018? So this year I get to play the festival again, I am beyond ecstatic! I feel so honoured to be able perform a second year in a row. This time around I am performing with Tshepang and Mpumi of BLK JKS and Motel Mari. It’s going to be a really special performance. It’s not often that I get to perform with them, and I am so happy we have an amazing slot at 3:30 on Saturday afternoon on the main stage. Could you detail your typical song-writing process? Are there any specific rituals or techniques you have adhered to while writing and producing? I mostly write music while I am playing keys or piano, and most of my songs start there. Otherwise I find the best place to come up with melodies and lyrics is in my car. I feel so free to belt out and be in my own world, and I drive around a lot. I don’t think there’s anything particularly special or unique about the way I write music. As a womxn in the music industry, do you find your current community to be egalitarian, or do you face discrimination? And what advice would you give to any young, up-and-coming female producers out there? For the most part I have had very few issues of discrimination in the industry. But discrimination is rife in every industry there is, and there is definitely a sense of the scene being dominated by men, and there are so many all male line-ups of the same artists. It is important for men to be more inclusive of femme artists. Sometimes these lineups feel very exclusive, for big festivals as well. I have been blessed to work with amazing artists though (all genders included), all of whom have been encouraging and vital to my career. Care to mention some of your favourite albums of the year so far? What will 2019 hold for LUMA? Expect new videos, new music, more performances, more collaborations and I am definitely going overseas. It’s going to be a good year!